In the center of ThinkUp’s homepage sits the following phrase: “There are things Facebook & Twitter don’t tell you.” ThinkUp, a web app, analyzes your social media activity in unique ways, which is why Entrepreneur considers it one of “Ten Startups to Watch in 2014.” ThinkUp provides charts and graphs, but it also gives users data insights in simple language. Trapani then gave examples of personal life events, such as a photo of your newborn or a marriage announcement. Many social media users are curious about their personal posts and how other users interact with them. Yet this tool is also incredibly valuable for businesses. Learning about customers’ wants and needs is crucial, but so is learning your own business behavior. How do your customers engage with you, and how do you engage with your customers? What was your most popular tweet? Who are your most popular followers? What key words do customers commonly respond to your posts with? How far has a retweet or share of your post traveled? ThinkUp answers these questions and more in an easy-to-understand format. Not only is the app simple; it is also convenient. Twitter, Facebook, and Google+ plugins capture posts, links, friendships, lists, users, favorites, and locations from those networks. You can even sort friends and followers based on their activity so you can see who may be target customers. 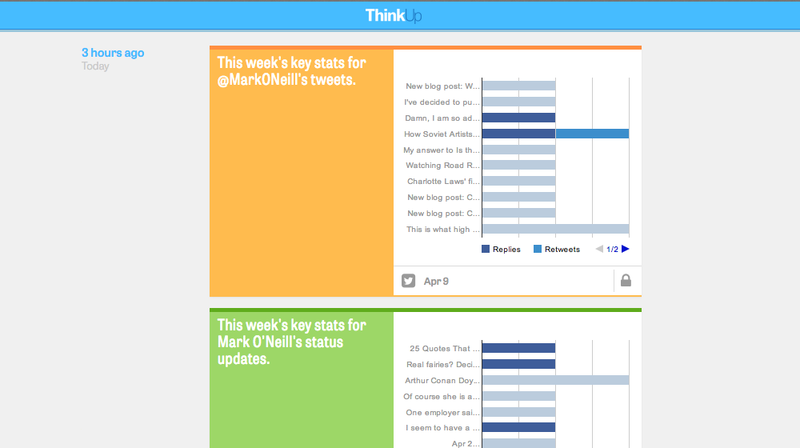 Read about more of the application’s features in this LifeHacker article, or see more examples of what a ThinkUp analysis looks like here. 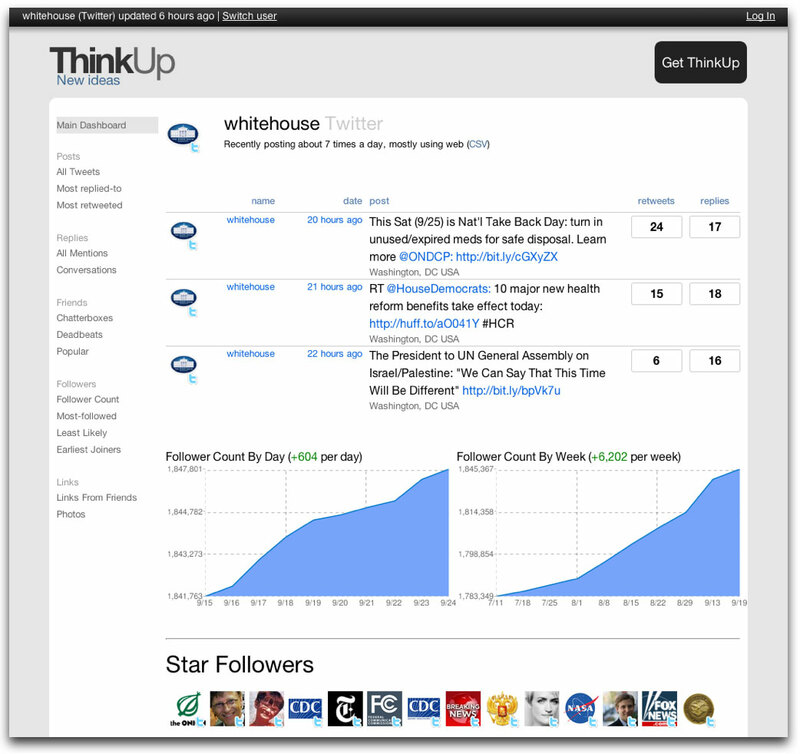 Have you used ThinkUp for social or business reasons? If so, what has your experience been?